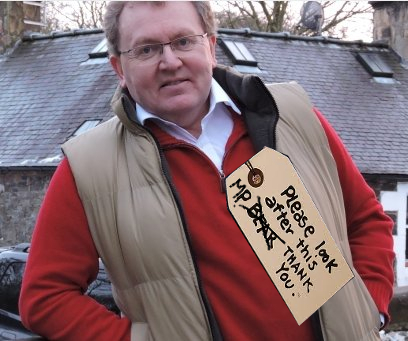 At the time of writing, David Mundell remains the Conservative MP for Dumfriesshire, Clydesdale and Tweeddale – the only Tory MP in Scotland. He is popularly known as Paddington Bear and the image – drawn from his own publicity material – perhaps explains why. Is he still a favourite of thine? But why can’t we export him to Wales?